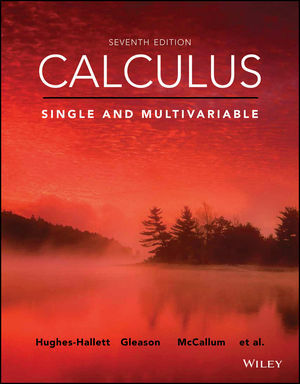 Calculus: Single and Multivariable, 7th Edition continues the effort to promote courses in which understanding and computation reinforce each other. The 7th Edition reflects the many voices of users at research universities, four-year colleges, community colleges, and secondary schools. This new edition has been streamlined to create a flexible approach to both theory and modeling. The program includes a variety of problems and examples from the physical, health, and biological sciences, engineering and economics; emphasizing the connection between calculus and other fields.